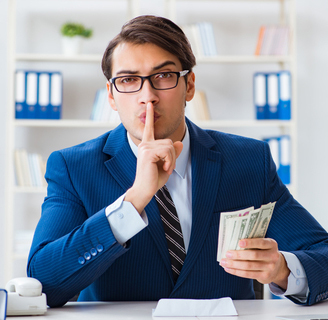 Recently, many states and cities in the US have begun enacting laws that restrict an employer from asking about compensation. The belief is that such questions can impact pay equity. Women often have historically lower salaries than males for similar jobs. Several cities and states believe that gauging future compensation based on these lower salaries will only perpetuate wage inequity. Employers who have come to rely on this information for their hiring processes have had to reconsider their approach. • California has enacted a statue that states prior salary alone shall not, by itself, justify any disparity in compensation. • Delaware has banned all employers from asking candidates about their salary history. • Massachusetts has prohibited all employers from inquiring about a candidate’s pay history. • New York (state) has banned past salary questions in the screening process for employees in state agencies and the legislature is considering a ban for private employers in the state. • Oregon has enacted a new law that bans all employers from inquiring about a candidate’s salary history effective in January 2019. • Puerto Rico has banned employers from inquiring about a candidate’s pay history. • New Orleans banned inquiries about all city departments and employees of contractors who work for the city. The law only impacts individuals who are interviewing to work for the city of New Orleans. • New York City has banned public and private employees from asking about a candidate’s pay history. • Philadelphia has banned the salary history question for all employers. • Pittsburgh has banned city agencies from asking about candidates’ pay history. With all this in mind, it’s important to strategize your recruitment and research process in order to determine employee skillsets and value in other ways. Look at the depth of a candidate’s employment background. Explore their career development, workplace achievements and references. Hiring is always a risk, but the more information you have to work with, the better. Know the laws in your state and region. If you live in the states or cities affected, we recommend you gather as much information as possible in the absence of compensation history and hope that your potential candidates are encouraged to share on their own accord. What do you think of this new legislation and how will it change your hiring practices?